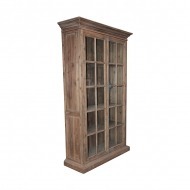 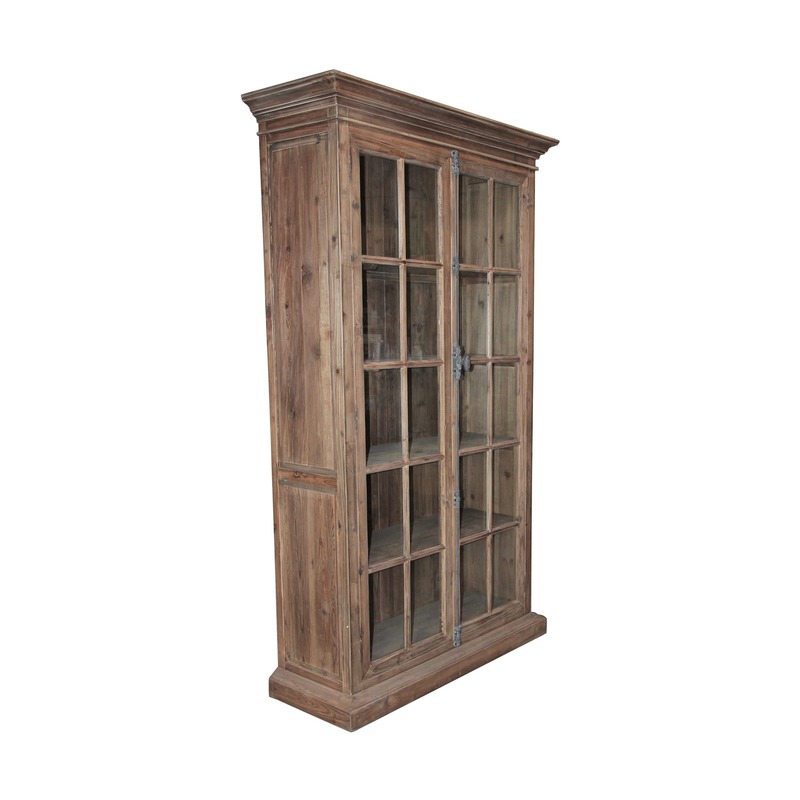 Mons Library Vitrine - White x White - Antique and Fine Decor for the Home. 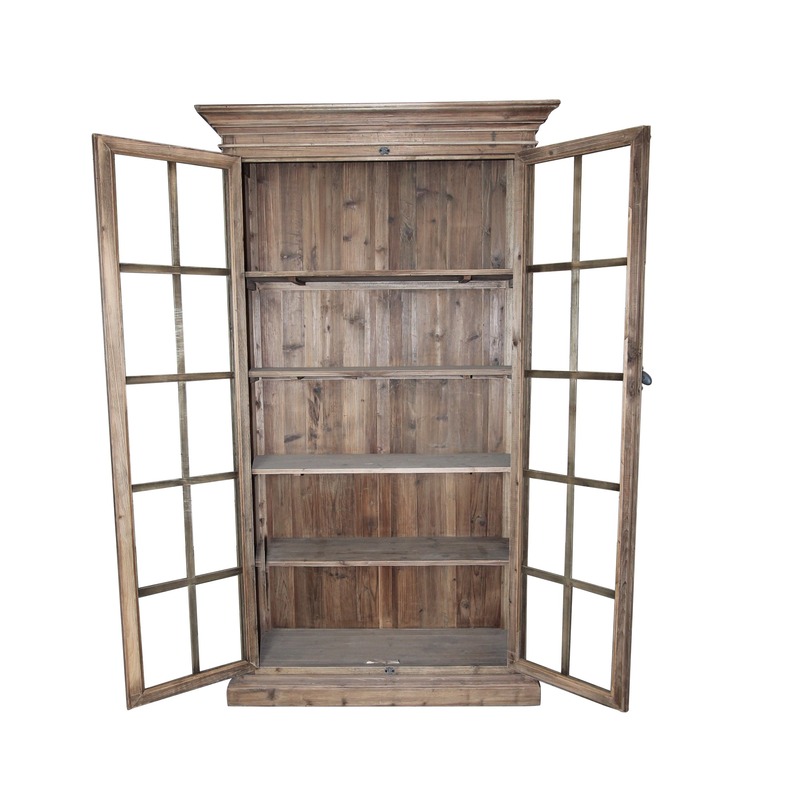 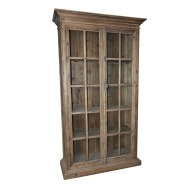 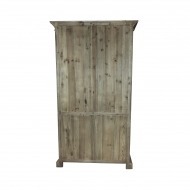 Vitrine made of natural color solid reclaimed pine. 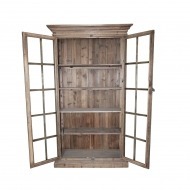 Four non-adjustable shelves behind two glass front doors. 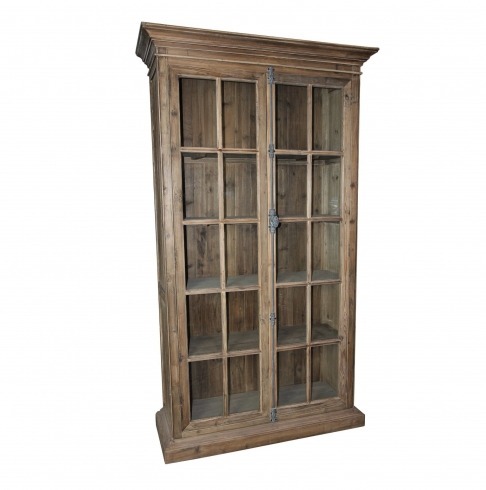 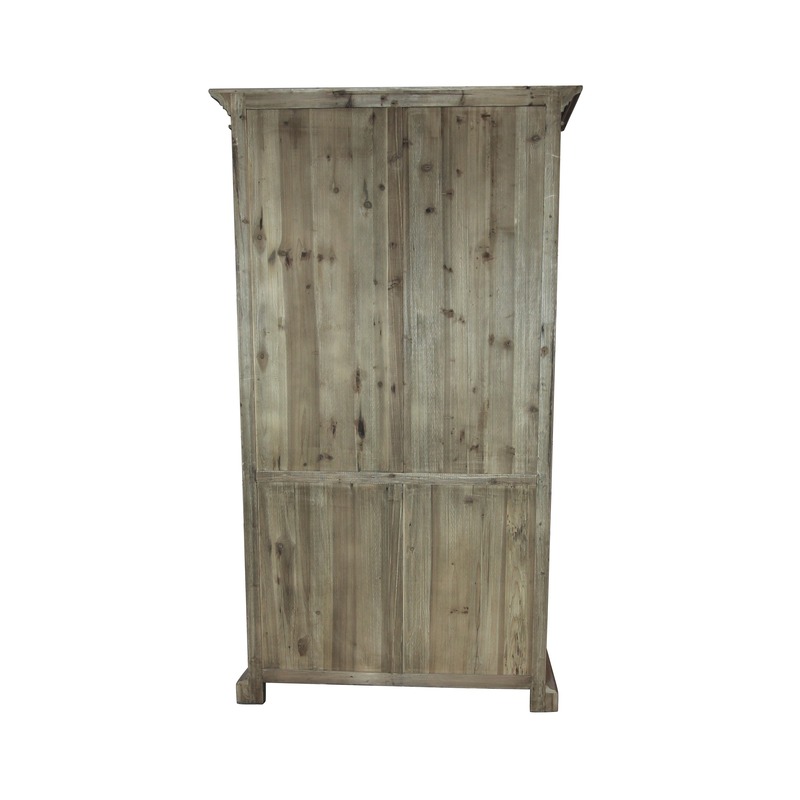 Fully functioning iron hardware has a lightly distressed rustic gray finish. 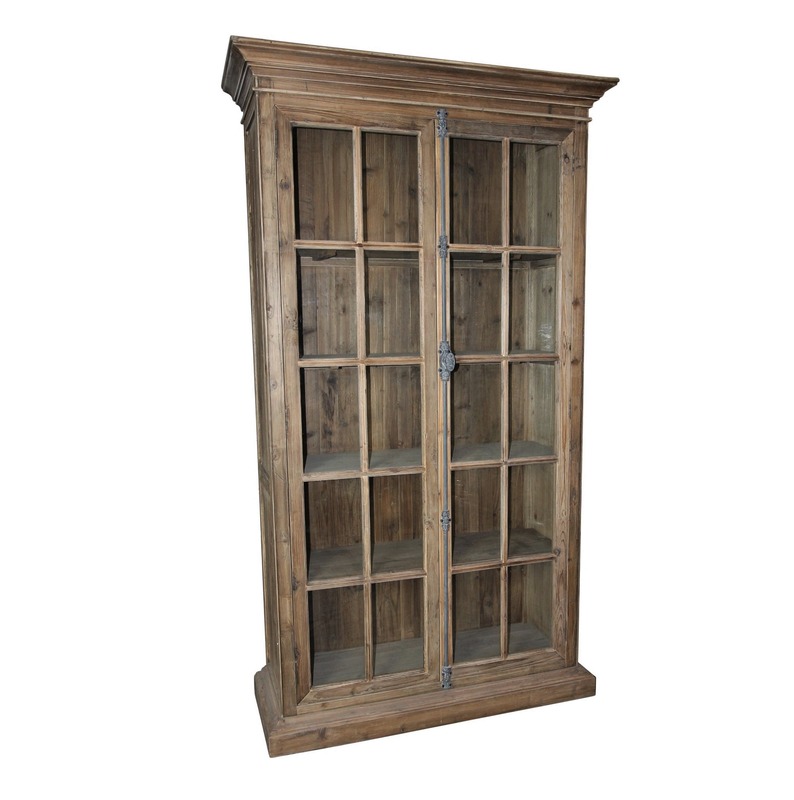 Reclaimed pine, by nature, will likely have nail holes, knots and other imperfections, adding charm and character.